You can access the product license in Adobe® Portable Document Format (PDF) by clicking the version number for the appropriate product(s) below. You will need to download Adobe Reader® software, if it is not already installed on your computer, to view and print the license agreements. This XMPie® Software License and Services Agreement (this “Agreement”) sets forth the terms and conditions that govern Licensee access to and use of the XMPie products and services set forth on the purchase order or other order document and is an agreement between XMPie Inc., a Delaware corporation, and its direct and indirect Affiliates (collectively, “XMPie,”) and Licensee or the entity Licensee represents (“Licensee”). This Agreement takes effect upon date Licensee signs this Agreement or when Licensee clicks the “Accept” button, whichever is earlier (the “Effective Date”). XMPie and Licensee have executed this Agreement, each by its duly-authorized representative, as of the last date set forth below (the “Effective Date”). 1.1. “Affiliate” means an entity which controls, is controlled by, or is under common control with XMPie Inc., and “control” means ownership or control of more than 50% of the voting rights of an entity. 1.2. “API” means the XMPie Application Program Interface. (iii) System print outputs, such as proof sets or .pdf files. 1.4. “Desktop Machine” is a computer which meets ALL of the following criteria: (a) uses desktop hardware (not server hardware), (b) is the principal computer used by the Licensee in the Licensee’s work, (c) has a display attached to it, (d) runs on a desktop operating system. 1.5. “Documentation” means all documentation associated with the Software, in any media, including, without limitation and as applicable, the Software user guide, the hardware requirements, the installation guide, the purchase order, the order agreement. 1.6. “Effective Date” means the later of the dates set forth beneath the signatures of XMPie and Licensee. 1.7. “Fees” means the fees payable by Licensee to XMPie in consideration for the Software license, Services, and/or Maintenance and Support, as set forth in the purchase order or other order document issued or agreed to by XMPie. 1.8. “Logic” means a set of rules that determine what content or design styles to choose for a given individual. Logic is also known as “Rules”, “Business Logic”. 1.9. “Losses” means claims, losses, damages, liabilities, costs or expenses of any nature (including reasonable attorney’s fees). 1.10. “Output” means the hard copy printed documents, the rendering of content on web pages, email or SMS messages, and it also means the computer files that encode all the instructions for rendering the final output (e.g., Postscript files for printing). 1.11. “Services” means the services provided by XMPie to Licensee, whether via Software as a Service or otherwise. Services may be hosted by XMPie or by third party cloud providers. “Services” include hosting services, software services, and other services. 1.12. “Software” means XMPie software products and XMPie services set forth on the purchase order or other order document, the corresponding Documentation, associated media, printed materials and online electronic Documentation. 1.13. “StoreFlow” or “uStore” means the XMPie Software product distributed under the name “StoreFlow” or “uStore”. 1.14. “Trial Version” means a version of the Software, so identified, to be used only to review and evaluate the Software. The Trial Version may have limited features or might expire after a limited period of time. 2.1. In consideration for the payment of the Fees, and subject to the other terms and conditions of this Agreement, XMPie hereby grants Licensee, and Licensee hereby obtains, for the term of this Agreement, a non-exclusive license, without right to sub-license, to use the Software in strict compliance with this agreement and any Documentation provided in connection with the Services. 2.2. Licensee may make one backup copy of the Software, provided that the backup copy is not installed or used for any purpose other than archival purposes. 2.3. Licensee may install and use the uDirect Software products, which include, among others, uDirect, uMerge, uChart Desktop, and uImage Desktop, only on a Desktop Machine. Licensee may install the PersonalEffect Software products on Licensee’s own server(s), the number of which is set forth on the accepted purchase order and the specification of which matches XMPie’s instructions in the Documentation. XMPie shall not install the Software until the Licensee’s network, hardware and software match such specifications. Access to the Software and the use thereof is limited to Licensee’s authorized users, who must be Licensee’s employees, sub-contractors, agents, consultants, affiliates or customers with permitted access to the Software. 2.4. The scope of the license granted hereunder is limited to the rights of use expressly set forth in section 2.1 above, and Licensee is not granted any other license or other rights with respect to the Software. Without limiting the foregoing, Licensee may not: (1) decompile, disassemble, reverse engineer or otherwise attempt to identify or discover the Software source code; (2) modify, change, or create a derivative work of any part of the Software, unless otherwise explicitly agreed by XMPie in writing; (3) assign, transfer, lease, rent or share the rights under this Agreement, without XMPie’s prior written consent in each instance; or (4) make any copy of the Software or any part thereof, except as expressly authorized herein. 2.5. The Software may be integrated with third party software. If XMPie performs such integration, such integration will be subject to the Limited Warranty set forth in Section 4. If Licensee performs such integration, XMPie disclaims all warranties, and liability with respect to such integration, which shall be at Licensee’s sole risk, cost and expense. 2.7. Licensee shall not use the Software in a manner that violates (or produces Content that violates) any applicable national, local, state or provincial law or regulation, or which infringes the proprietary or other rights of third parties. Licensee will not use the Services or Software in a manner that violates any law or regulation. Neither Licensee nor any of Licensee’s affiliates will use the Services or Software for purposes of, or transmit via the Services, (i) any unlawful, fraudulent, libelous, defamatory, obscene, pornographic, profane, threatening, abusive or otherwise objectionable information of any kind, including without limitation any transmissions constituting or encouraging conduct that would constitute a criminal offense, give rise to civil liability or otherwise violate any local, state, national or foreign law, including without limitation the U.S. export control laws and regulations; (ii) any chain letters, pyramid schemes or other deceptive, misleading, and/or fraudulent content; (iii) any unsolicited commercial or non-commercial communication; (iv) any emails with deceptive, misleading or false subject lines or header information that makes it difficult to identify the initiator of the email; or (v) any information containing a virus, Trojan horse, worm, or other harmful component. 2.8. XMPie may improve, add or delete features to, vary the functionality of, and otherwise modify the Software and Services from time to time in its discretion. XMPie may also vary the Software and Services subscription editions it makes available, and vary the functionality within each subscription edition. Licensee irrevocably consents to XMPie transmitting and installing patches, bug fixes and other version updates to the instances of the Software and the Services installed on Licensee’s systems. 2.9. Licensee shall ensure that at all times it uses the latest versions of patches and fixes for the Software and Services. 2.10. The Software and Services are licensed, not sold. All rights, which are not expressly granted herein, are reserved by XMPie. 2.11. Licensee may use the API only if: (a) purchasing the respective product API licensing from XMPie, or; (b) with the prior written consent of XMPie. 2.12. Licensee agrees to comply with all applicable laws, regulations, third party software terms, in using the Licensed Software. Database, Logic, Content and Output. Licensee hereby acknowledges and agrees that except as otherwise provided herein, XMPie does not control any database, logic, intermediate products contents, Data Sources and output used with/by the Software and as such cannot and does not assume any responsibility for any of such items. XMPie exerts partial control over XMPie eMedia Cloud service, uStore Cloud, StoreFlow Cloud, XES, Circle, hosted solutions, and cloud analytics. Use of any database, logic, intermediate products contents and output is at Licensee’s sole risk. Without limiting the generality of the above, Licensee shall remain at all times solely responsible for the function, accuracy, reliability, integrity, quality, confidentiality, transmission and/or validity of any database, logic, intermediate products contents, Data Sources and output used by it. Licensee shall indemnify and save harmless XMPie and its directors, officers, employees, representatives and agents (“Related Parties”) against all demands, claims, actions, liabilities, losses, costs, damages or expenses whatsoever (including reasonable attorneys’ fees) (“Damages”) asserted against, imposed upon or incurred by XMPie and/or any of its Related Parties resulting from or arising out of the use of any database, logic, intermediate products contents, Data Sources and output, including, without limitations, infringement of third party rights by such use or by such items. 4.1. XMPie warrants only to Licensee that the Software will perform substantially in accordance with the Documentation for the ninety (90) day period following receipt of the Software when used on the recommended operating system, network topology, and hardware configuration and with recommended software installation and configuration. Non-substantial variations of performance from the Documentation does not establish a warranty right. Licensee’s exclusive remedy and XMPie’s entire liability under this limited warranty shall be, at XMPie’s options, to repair or replace the media or any part thereof. 4.2. XMPie warrants that Services will be performed in a workmanlike fashion and with applicable Documentation. 4.3. Outage Policy. LICENSEE ACKNOWLEDGES AND UNDERSTANDS THAT XMPIE DOES NOT WARRANT THAT THE SERVICES WILL BE UNINTERRUPTED OR ERROR FREE. XMPIE MAY OCCASIONALLY EXPERIENCE “HARD OUTAGES” DUE TO INTERNET DISRUPTIONS THAT ARE NOT WITHIN THEIR CONTROL. ANY SUCH HARD OUTAGE SHALL NOT BE CONSIDERED A BREACH OF THIS AGREEMENT. 4.4. THE EXPRESS WARRANTY SET FORTH ABOVE CONSTITUTES THE ONLY WARRANTY WITH RESPECT TO THE SOFTWARE. XMPIE MAKES AND LICENSEE RECEIVES NO OTHER REPRESENTATION OR WARRANTY OF ANY KIND, WHETHER EXPRESS OR IMPLIED WITH RESPECT TO THE SOFTWARE. EXCEPT AS SET FORTH IN THIS SECTION 4 XMPIE EXPRESSLY DISCLAIMS ANY AND ALL PROMISES, REPRESENTATIONS, AND WARRANTIES, EXPRESS OR IMPLIED, INCLUDING WITHOUT LIMITATION, WARRANTIES OF MERCHANTABILITY, FITNESS FOR A PARTICULAR PURPOSE OR NON- INFRINGEMENT. XMPIE DOES NOT WARRANT THAT THE SOFTWARE IS ERROR FREE OR THAT THE OPERATION OF THE SOFTWARE WILL BE SECURE OR UNINTERRUPTED. XMPIE MAKES NO WARRANTY CONCERNING THE COMBINATION OF THE SOFTWARE WITH THE LICENSEE’S OR THIRD PARTY COMPONENTS OR SOFTWARE. 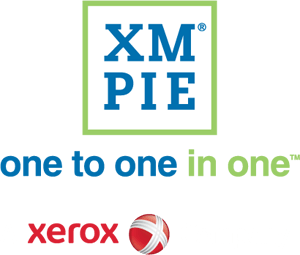 XMPIE DOES NOT WARRANT THE RESULTS OR ANALYSIS THAT MAY BE OBTAINED BY USING THE SOFTWARE. 5.1. XMPie will have no responsibility or liability whatsoever to Licensee or any third party for claims or damages arising from (i) the use of the Software not in compliance with applicable law and regulations, (ii) the use of the Software not in compliance with the Documentation, or (iii) the use of the Software where it has been modified other than by XMPie or with XMPie’s written permission. 5.2. IN NO EVENT SHALL XMPIE BE LIABLE TO LICENSEE OR ANY THIRD PARTY FOR INCIDENTAL, INDIRECT, SPECIAL, OR CONSEQUENTIAL DAMAGES, OR FOR LOST PROFITS, WORK STOPPAGE, SAVINGS, OR REVENUES OF ANY KIND, OR FOR LOST DATA, DAMAGE TO OTHER SOFTWARE, COMPUTER FAILURE OR MALFUNCTION OR DOWNTIME, REGARDLESS OF WHETHER XMPIE HAS BEEN ADVISED OF THE POSSIBILITY OF SUCH DAMAGES. 5.3. THE CUMULATIVE LIABILITY OF XMPIE TO LICENSEE FOR ALL CLAIMS ARISING UNDER THIS AGREEMENT, REGARDLESS OF THE FORM OF ACTION, WHETHER IN CONTRACT OR TORT, INCLUDING NEGLIGENCE, INTELLECTUAL PROPERTY INFRINGEMENT, STRICT LIABILITY, OR OTHERWISE, SHALL NOT EXCEED THE TOTAL FEES ACTUALLY PAID BY LICENSEE DURING THE TWELVE MONTHS PRIOR TO THE CLAIM GIVING RISE TO THE LIABILITY. Ownership. The Software and Services includes proprietary and confidential materials and products of XMPie and its licensors, protected under copyright, patent, trade secret laws and international treaties, and other intellectual property right laws and treaties. Licensee acknowledges and agrees that XMPie and its licensors solely own and shall retain all right, title and interest, including intellectual property rights, in or to the Software. This Agreement does not convey to Licensee an interest in or to the Software but only a limited right of use, revocable in accordance with the terms of this Agreement. 7.1 XMPie®, uDirect®, uPlan™, uCreate™, uProduce™, QLingo™, PersonalEffect®, ADOR®, XLIM®, uStore®, uImage®, Circle™ uProduce™ Marketing Console, and other names, logos or icons identifying XMPie and its products are trademarks of XMPie. All other products and/or brand or company names mentioned herein or in the Software Documentation are the trademarks of their respective owners. 7.2 XMPie and its applicable service provider(s) may use Licensee’s trademarks and trade names (“Licensee Marks”) solely in connection with the authorized provision of the Services. Any other use of Licensee Marks shall be with Licensee’s prior written consent and subject to all written guidelines regarding the use of Licensee Marks. Term and Termination. This Agreement shall remain in force and effect unless terminated by XMPie in the event of a material breach of this Agreement by Licensee that has not been cured, to XMPie’s satisfaction, within fourteen (14) days of a written notice thereof by XMPie. Licensee or XMPie may terminate this Agreement and/or any or all Addenda upon material breach of any provision of this Agreement or any Addendum. Effect of Termination. Upon termination of this Agreement, the license granted herein shall promptly expire. Licensee shall uninstall the Software and shall warrant to XMPie that the Software, any medium thereof and any materials pertaining to the Software have been returned to XMPie. The provisions of Sections A 3, 4, 5, 6, 7, 10, 11, and 13 shall survive termination of this Agreement and shall remain in full force and effect. Licensee’s Employees. Licensee shall clearly notify each of its employees, sub-contractors, agents, consultants, affiliates, customers with permitted access to the Software, or any other third party that uses the Software of the terms and conditions of this Software License and Services Agreement and shall be responsible and liable for the compliance of such parties with the terms and conditions of this Agreement and for such parties’ acts and omissions. Such third parties shall not relieve Licensee of any of its obligations under this Agreement. 11.1 Licensee shall indemnify and hold harmless XMPie and its affiliates from and against any Losses arising from Licensee’s breach of this Agreement. 11.2 If Licensee is using the XMPie E-mail Service (XES ), Licensee shall indemnify XMPie against any Losses arising from XMPie’s use, in connection with the performance of the Services hereunder, of (i) any email addresses, (ii) Licensee’s end user information or other information that XMPie obtains from Licensee or any of Licensee’s affiliates for purposes of providing such services, (iii) any content provided by Licensee or any of Licensee’s affiliates, (iv) any emails, newsletters, or other materials sent out by Licensee or any of Licensee’s affiliates using the Services, (v) any violation of the Anti-Spam Policy. Licensee shall indemnify and save harmless XMPie, its affiliates, and their respective officers, directors, employees and agents against all demands, claims, actions, liabilities, losses, costs, damages or expenses whatsoever (including reasonable attorneys’ fees) resulting from or arising out of the use of the API or website or any portion thereof. Export Rules. Licensee agrees that the Software will not be shipped, transferred or exported into any country or used in any manner prohibited by the United States Export Administration Act or any other export laws, restrictions or regulations (collectively the “Export Laws”). In addition, if the Software is identified as an export -controlled item under the Export Laws, Licensee represents and warrants that Licensee is not a citizen of, or located within, an embargoed or otherwise restricted nation and that Licensee is not otherwise prohibited under the Export Laws from receiving the Software. 13.1. This Agreement together with the accompanying purchase order and the Documentation constitutes the entire agreement between Licensee and XMPie concerning the license of the Software. 13.2. This Agreement shall be governed by the laws of the State of New York, without giving effect to any principles of conflicts of laws thereof, and the state and federal courts sitting in New York, New York, shall have exclusive jurisdiction over all disputes between the parties. 13.3. Licensee may not assign or otherwise transfer by operation of law or otherwise this Agreement or any rights or obligations herein without the consent of XMPie. 13.4. Modifications to the Agreement. XMPie may modify this Agreement at any time by posting a revised version on the XMPie website or by otherwise notifying you in accordance with the notices provision of this Agreement; provided, however, that we will provide at least 90 days’ advance notice of adverse changes to this Agreement. The modified Agreement will become effective upon posting or on last day of such 90-day notice period, if applicable, or, if we notify you by email, as stated in the email message. By continuing to use the XMPie Service or Software after the effective date of any modifications to this Agreement, you agree to be bound by the modified terms. It is your responsibility to check the XMPie website regularly for modifications to this Agreement. We last modified this Agreement on the date listed at the end of this Agreement. 1.3. Licensee shall indemnify and save harmless XMPie and the Related Parties against all demands, claims, actions, liabilities, losses, costs, damages or expenses whatsoever (including reasonable attorneys’ fees) asserted against, imposed upon or incurred by XMPie and/or any of its Related Parties resulting from or arising out of the use of the API, the Custom Code, the website or any portion of the foregoing. 1.5. Licensee may receive from the XMPie access credentials to a Demo Server for the purpose of training or re-selling of the service to the Licensee’s customers. Licensee shall not transfer these credentials to any 3rd party without XMPie’s express prior written consent in each instance. 2.6. Adobe is a third party beneficiary under this Agreement. Use of PhotoShop through uImage and uProduce. 3.3. Adobe is a third party beneficiary under this Agreement. 4.1. Pay Pal Pro Virtual Terminal Agreement, https://www.paypal.com/us/webapps/mpp/ua/provt-preview2. 5.1. Licensee represents and warrants that the individual user who is listed as the owner of Licensee’s account (the “Circle Account”) is authorized to bind Licensee and to grant access to other users. Licensee will notify XMPie of any change in the Circle Account owner. 5.2. Licensee may share Licensee’s access to XMPie Circle with Licensee’s employees, agents, subcontractors, designers and customers, and other third parties whom Licensee may authorize, and their respective employees (each a “Circle User”), provided that each Circle User agrees to comply with the terms set forth in this Agreement, and provided further that only Licensee may contact XMPie for support services. To share access, Licensee may invite a Circle User to become a user in the XMPie Circle, and provide such Circle User with permission to work on a certain project using the XMPie Circle. Licensee is liable for all use of XMPie Circle by Circle Users who gain access to XMPie Circle through the Licensee and for any breach of this Agreement by any such Circle User. 5.3. Licensee has the right to use only the features and resources associated with the Circle edition to which Licensee has a subscription. 5.4. If Licensee is a Personal Effect Cross Media licensee, regardless of whether Licensee has contracted for ongoing Personal Effect maintenance and support, Licensee will have access to the Personal Effect Build Basic functionality. Build Basic functionality includes print setup and production, e-mail set-up and production, website setup, friendly URL definitions, data source upload, asset upload, font upload, and tracking, all at no additional charge. 6.1 Feedback. Licensee will provide active feedback to XMPie on the Software, including suggestions for additional features or functionality, problems (“bugs”), evaluations, software and hardware compatibility, interoperability, performance, and ideas for enhancements (collectively, the “Feedback”). In consideration for the license granted hereunder, Licensee hereby assigns all rights to the Feedback to XMPie, including all copyright and moral rights. 6.2 Surveys. Licensee agrees to respond to a reasonable number of surveys that XMPie will send to Licensee with respect to the Software. Trial Version Obligations: If the Software is a Trial Version, then the provisions of this Section apply and prevail over any conflicting sections in this Agreement. XMPie grants Licensee and Licensee obtains, a limited, royalty free, non-exclusive, personal, non-transferable, non-sublicensable license, for a limited period of thirty (30) days (or other, if explicitly provided by XMPie) to use the Trial Version for the sole purpose of reviewing and evaluating the Software. Licensee may not use the Trial Version for commercial purposes. LICENSEE ACKNOWLEDGES, THAT TO THE MAXIMUM EXTENT PERMITTED BY APPLICABLE LAW, THE TRIAL VERSION IS PROVIDED ON AN “AS IS” BASIS. XMPIE DISCLAIMS ANY AND ALL WARRANTIES RELATING TO THE TRIAL VERSION, DOCUMENTATION AND OTHER FILES, EXPRESS OR IMPLIED, INCLUDING BUT NOT LIMITED TO THE IMPLIED WARRANTIES OF NON-INFRINGEMENT OF THIRD PARTY RIGHTS, MERCHANTABILITY AND FITNESS FOR A PARTICULAR PURPOSE. IN NO EVENT WILL XMPIE’S LIABILITY FOR THE TRIAL VERSION EXCEED ONE US DOLLAR (US$ 1.00). This Section C, XMPie Email Service (XES) applies to Licensees who have contracted with XMPie for e-mail service (“E-mail Services”). Use. Licensee may use the E-mail Services to provide service to Licensee’s own clients, provided that its clients agree to comply with the terms of this Agreement. 2.1 Licensee may send electronic mail messages only to customers and prospects that have directly consented (opted-in) to receive email messages. Licensee may not transmit unsolicited commercial e-mail messages. 2.2 Licensee may not use purchased, rented or harvested electronic mail addresses lists, any other list that contains electronic mail addresses captured in any other method than opt-in. 2.3 Licensee may not transmit electronic commercial e-mail messages in violation of the addressees’ right to privacy. 2.4 Licensee may be required to reconfirm or stop transmitting messages to addressees included in an existing mailing list if such message transmission is determined to be in violation of this Agreement or any applicable law, rule or regulation. Repeated violations or failures to comply may result in the termination of Licensee’s account. Message Volume. Licensee may use the Services to send the number of e-mail messages in each annual period that Licensee has indicated on the Commitment Subscription page, which is available at: http://email.services.xmpie.com. 3.1 Additional Credits. Licensee may buy additional credits (“Additional Credits”) at any time to increase the number of messages which Licensee is permitted to send in the then- current annual period, at the Extra Credit price indicated in Licensee’s Subscription plan. 3.2 Overage. XMPie will notify Licensee if Licensee has sent more e-mail messages (“Overage”) in a twelve-month period than Licensee has paid for in Licensee’s Subscription plan, including any Additional Credits. Licensee agrees to purchase Additional Credits to cover Licensee’s Overage before the end of such twelve-month period. The maximum Overage is defined in Licensee’s Subscription Plan. The Overage price is indicated on Licensee’s Subscription page. 3.3 Email Account. Associated with every subscription is the Email Account (“Default Account”). Licensee may, at Licensee’s option, purchase separate and additional email accounts (each an “Additional Account”) under the same subscription. Each account will be isolated and privately managed, so as to protect Licensee’s customers from spam-reports reported by recipients of other customers with other accounts. An account (Default Account or Additional Account) physical address, supplied by Licensee at the time of account purchase must be the real physical address of Licensee’s business or Licensee’s customer’s business as required by the CAN-SPAM Act. Additional Account pricing is defined in Licensee’s Subscription page. Each Account must be renewed annually. If Licensee’s does not renew the Default Account or Additional Account, it may be closed automatically, and all opt-out information, as well as other information stored at the Account, will be deleted. 4.1 When Licensee registers with the Service, XMPie may ask Licensee to provide contact information and other personally identifiable information. Licensee shall submit true, accurate and complete information. False, incorrect or outdated information may prevent Licensee from registering and impair XMPie’s ability to provide Licensee with the Services. XMPie will explicitly indicate the fields which are mandatory. If Licensee does not complete the data in these fields, Licensee will not be able to register with the Services. 4.2 To log in, Licensee must use Licensee’s user name and password. From time to time, XMPie may establish and require additional or different means of identification and authentication for logging in and accessing the Services. 4.3 Licensee agrees to maintain Licensee’s XMPie E-mail Services (and all Account) passwords in absolute confidentiality. Licensee shall not disclose Licensee’s XMPie E-mail Services password to others. 4.4 Licensee assumes full responsibility for any damage, loss or claims resulting from Licensee’s failure to provide true, accurate and complete information upon registration, and for any use or misuse of Licensee’s account as a result of conveying Licensee’s user name and/or password to a third party. Payment terms will be set forth in the applicable purchase order or other order document. 2.1 Payment of XMPie Circle subscription fees is due at the time of purchase of the XMPie Circle license. 2.2 Licensee may purchase Credits to pay for principal users, as well as other services and goods that XMPie may offer Licensee from time to time. Credits expire twelve (12) months from date of Credits purchase. 2.3 XMPie deducts the Credit amount each day, at 11:59 p.m. Greenwich Mean Time, based on Licensee’s and its users’ actual use of Credits. 2.4 XMPie may freeze Licensee’s Account if Licensee’s Credits are exhausted and/or Licensee’s subscription fee is past due. 2.5 Licensee may upgrade Licensee’s subscription at any time. 2.6 All Subscription fees and Circle purchases are non-refundable. 2.7 If Licensee is accessing XMPie Circle as a participant in a beta program or for a trial period, XMPie may offer Licensee a reduced subscription fee during such beta or trial period. XMPie will notify Licensee of the duration of the beta or trial period. 3.1 Services Fee. During each annual subscription term, Licensee will pay to XMPie a non-refundable Service Fee in the amount set forth on the purchase order. 3.2 Overage Fee. XMPie will notify Licensee of any Overage via email and via the XMPie E-mail Services website. Licensee agrees to buy Additional Credits to cover Licensee’s Overage before the end of the subscription period. 1.1 XMPie will maintain strict confidentiality of Licensee’s data, including Licensee’s campaign-specific diagrams, artworks, reports, textual information, and numeric information (such as pricing, ROI, etc.). XMPie will restrict access to Licensee’s data only to Licensee’s authorized users and to XMPie maintenance and support personnel with a need to access Licensee’s data. 1.2 XMPie will not disclose or have Licensee data disclosed, directly or indirectly to any third party, except as specifically required to provide Licensee the Software or Services, or subject to Licensee’s prior written permission, whether provided under the terms herein, or separately. 1.3 XMPie will take precautions to maintain the confidentiality of Licensee data with the same degree of care as XMPie applies to its own proprietary data, but in no case less than reasonable care. 1.4 XMPie personnel will access and use Licensee’s data subject to the confidentiality terms herein, as required to provide Licensee the Software or Services, including to provide support services, to maintain the full functionality of the Software or Services, to investigate and fix technical malfunctions, to maintain and enhance information security measures and procedures, and for Software or Services maintenance, control, development and enhancement purposes. 1.5 Upon termination of Licensee’s license to use the Services, XMPie may delete all copies of Licensee’s data upon Licensee written request, unless XMPie requires such data for its legitimate business purposes, including to settle outstanding payments and to resolve conflicts. 1.6 Notwithstanding the foregoing, Licensee acknowledges that XMPie may, wholly or partially disclose confidential information to the extent the disclosure is required to comply with an order, subpoena, decree or request made by a judicial, administrative or regulatory authority. 1.7 XMPie will collect personally identifiable information of Licensee’s users and contact persons, including their names, contact details, the contents of communications between them and XMPie personnel, etc., and will use common Internet technologies, such as cookies and Web beacons, to keep track of interactions with XMPie’s web sites and emails, and to track users’ activity. 1.8 XMPie will use the Licensees’ data to operate and provide the Software or Services; to improve and customize the experience with the Software or Services; to send Licensee’s Licensees updates, notices and announcements related to the Software or Services and other XMPie products and services; to collect fees; to enforce this Agreement and to take any action in any case of dispute, or legal proceeding; to prevent fraud, misappropriation, infringements, identity theft and other illegal activities and misuse of the judicial, administrative or regulatory authority. 1.9 XMPie will maintain the confidentiality of Licensee’s data and will use such information only to provide the Software or Services, and for XMPie’s internal purposes, under the terms hereof. 1.11.1 Licensee commissions, authorizes and requests that XMPie perform and provide Licensee the Software or Services, which involves Processing Personal Data. 1.11.2 XMPie will Process the Personal Data on Licensee’s behalf and for as long as Licensee instructs XMPie to do so. 1.11.3 The subject matter and purposes of the Processing activities are: administration of marketing communications (e.g., email campaigns) with consumers throughout the marketing chain; transmission of messages and analytical tracking of information related to the same; The Personal Data Processed are: the content and metadata of the communications (e.g., recipient information); data which Licensee authorized users import or export from or to Licensee systems (e.g., CRM systems); and the contact details of Licensee authorized users. 1.11.4 The ‘Data Subjects’ (as this term is defined and used in Data Protection Law) about whom Personal Data is Processed are individuals throughout the marketing chain (including consumers and recipients) and Licensee authorized users. 1.11.5 As between Licensee and XMPie, Licensee are and will remain at all times the ‘Data Controller’ for the purposes of the Software or Services, and XMPie is and will remain at all times the ‘Data Processor’ (as these capitalized terms are defined and used in Data Protection Law). As a Data Processor, XMPie will Process the Personal Data only as set forth in this section1.11. Licensee and XMPie are each responsible for complying with the Data Protection Law applicable to them in their roles as Data Controller and Data Processor. 1.11.6. As a Data Controller, Licensee is responsible, among other things, to provide Data Subjects proper notices and disclosures about the Processing activities Licensee and XMPie perform, and to properly obtain Data Subjects’ consent to these Processing activities – all as required by applicable law. In addition, Licensee is responsible for taking the necessary measures to ensure that the manner in which it uses the Software or Services complies with Data Protection Law. To that end, XMPie encourages Licensee to review and consider XMPie’s GDPR guidance available at http://help.xmpie.com/KBA/0086/0086_GDPR_Guidelines.htm (it being acknowledged by the Licensee that such guidelines are for informative purposes and are not to be taken as legal Licensee advice). Additionally, Licensee as a ‘Data Controller’ is responsible to: (a) assess and determine, in its sole discretion, the desirability and necessity of security measures relating to the Software and Services pursuant to Licensee’s technical, organizational, business and legal considerations, and (b) choose the appropriate security measures relating to the Software and Services. 1.11.7 XMPie will Process the Personal Data only on instructions from Licensee documented in this Agreement or otherwise provided, and which are capable of being carried out in the Software or Services. Licensee may provide XMPie Processing instructions beyond those specified in this Agreement and XMPie will use commercial efforts to perform those instructions. Licensee instructions must be compliant with Data Protection Law. If the instructions Licensee provide involve material costs and expenses to XMPie, or significant operational difficulties, then Licensee and XMPie will engage in good-faith discussions regarding additional fees XMPie will charge Licensee to cover such costs and expenses or regarding such difficulties. The foregoing provisions on XMPie following Licensee instructions apply unless XMPie is otherwise required to do so by law to which it is subject (and in such a case, XMPie shall inform Licensee of that legal requirement before processing, unless that law prohibits such information on important grounds of public interest). XMPie shall immediately inform Licensee if, in XMPie’s opinion, an instruction is in violation of Data Protection Law. XMPie will make available to Licensee all information in its disposal reasonably necessary to demonstrate compliance with the obligations under Data Protection Law. XMPie will assist Licensee with the eventual preparation of data privacy impact assessments and prior consultation as appropriate, provided, however, that if such assistance entails material costs or expenses to XMPie, the parties shall first come to agreement on Licensee reimbursing XMPie for such costs and expenses. 1.11.8 XMPie will follow Licensee instructions to accommodate Data Subjects’ requests to exercise their rights in relation to their Personal Data, including accessing their data, correcting it or deleting it. If the instructions Licensee provide involve material costs and expenses to XMPie, then Licensee and XMPie will engage in good-faith discussions regarding additional fees XMPie will charge Licensee to cover such costs and expenses. XMPie will pass on to Licensee requests that it receives from Licensee Data Subjects regarding their Personal Data Processed by XMPie. XMPie will pass on to Licensee requests that it receives from Data Subjects regarding their Personal Data Processed by XMPie. Any request from Data Subjects arising out of the processing of Personal Data by XMPie, including but not limited to rectification, erasure, and blocking of Personal Data, portability requests and objection, has to be asserted to Licensee. Licensee is solely liable for responding to Data Subjects on such requests. 1.11.9 Licensee acknowledges and agrees that XMPie uses the following sub-processor to Process Personal Data: Amazon Web Services, Inc. (Corporate address: 410 Terry Avenue North, Seattle, Washington 98109-5210, United States), in its data center located in the Republic of Ireland. XMPie will procure that the sub-processor Processes the Personal Data in a manner consistent with XMPie’s obligations under this Agreement. Licensee authorizes XMPie to engage with additional or replacement sub-processors, provided that XMPie does so in compliance with Data Protection Law, informs Licensee of any intended changes concerning the additional or replacement sub-processors, and gives Licensee the opportunity to object to such changes. If Licensee so objects, XMPie may terminate the Agreement upon written notice to Licensee. If XMPie terminates the Agreement pursuant to this Subsection, XMPie will only provide a pro-rata refund to Licensee of prepaid Services covering the period following the date of termination. Licensee will not be entitled to any refund of fees for Software or the service period preceding the date of termination. 1.11.10 XMPie and its sub-processors will only Process the Personal Data in member states of the European Economic Area and in territories recognized by an adequacy decision of the European Commission, as providing an adequate level of protection for Personal Data pursuant to Data Protection Law, or using adequate safeguards as required under Data Protection Law governing cross-border data transfers (e.g., Model Clauses). Notwithstanding the foregoing, during transmission of messages, XMPie and its sub-processors may Process the Personal Data in any number of territories that do not provide an adequate level of protection for Personal Data, or for which the European Commission has not adopted an adequacy decision. 1.11.11 In Processing Personal Data XMPie will implement appropriate technical and organizational measures to protect the Personal Data against accidental or unlawful destruction or accidental loss, alteration, unauthorized disclosure or access, and will provide Licensee means to control various security safeguards in respect of Licensee Personal Data. XMPie will ensure that its staff authorized to Process the Personal Data have committed themselves to confidentiality or are under an appropriate statutory obligation of confidentiality. 1.11.12 XMPie will inform Licensee of any Personal Data Breach promptly when it becomes aware of such Breach. Licensee is responsible for determining whether notification to other third parties is necessary or appropriate, and for carrying out such notifications to the extent required or desirable. XMPie will use commercial efforts to mitigate the breach and prevent its reoccurrence. Licensee and XMPie will cooperate in good-faith on issuing any statements or notices regarding such breaches, to authorities, Data Subjects, or the public at large. 1.11.13 Unless precluded by law, XMPie will provide Licensee prompt notice of any request it receives from authorities to produce or disclose Personal Data it has Processed on Licensee behalf under this Agreement, so that Licensee may contest or attempt to limit the scope of production or disclosure request. 1.11.14 Upon Licensee request (and unless otherwise required by law or necessary for evidentiary records), XMPie will delete the Personal Data it has Processed on Licensee behalf under this Agreement from its own and its sub-processor’s systems, or, at Licensee’s choice, return such Personal Data and delete existing copies, and upon Licensee’s request. 1.11.15 The duration of Processing that XMPie performs on Licensee Personal Data is for the period set out in section A.8 above. Should Licensee choose to opt out, XMPie will be free of its obligations to contact or notify Licensee. For the purpose of this Agreement, XMPie may deliver notices by email (or other means of written communication). XMPie will not be held accountable if the communication does not reach its destination, for whatever reason (soft bounce, hard bounce, opt-out, spam filters, black lists, etc). Licensee and users will be notified from time to time of improvements to the Software or Services, and other news, products and services from XMPie that relate directly or indirectly to the Software or Services. If Licensee’s edition of the Software or Services includes advertising, such advertising may not be turned off. 1.13 Licensee represents that Licensee have all rights to make the data available to XMPie. Licensee has received all permits required to maintain and process the data by XMPie under the terms herein. If XMPie maintains personal information for Licensee that is related to persons in a jurisdiction that regulates the transfer of personal information outside that jurisdiction, Licensee represents that Licensee holds the necessary permits, permission and consents to transfer personal information outside such jurisdiction for the purposes described herein. 1.14 XMPie may collect, compile, analyze, use and share statistical, aggregated and de-identified information (together: “Anonymized Data”), including Anonymized Data that XMPie generates from Licensee’s interactions with the Software or Services and Licensee data. XMPie will use and share Anonymized Data with the express provision that XMPie will not knowingly or intentionally share information that can be reasonably used to reveal the identity of individuals, or compromise XMPie confidentiality undertakings under this Agreement. XMPie may process and use Anonymized Data to properly operate the Software or Services and to develop and improve its quality and functionality, to enhance Licensee experience with the Software or Services and with other XMPie products and services, to create, offer and present new features and added values services, including customized services and to change or cancel existing features and services. XMPie may share, publish, post, disseminate, transmit, allow access or otherwise communicate and make available Anonymized Data to its Affiliates, suppliers, business partners, sponsors, developers and any other third party, at XMPie’s sole discretion. 1.15 XMPie does not store any recipient database information to the Software or Services cloud. Exceptions are the recipient IDs, tracking events stripped of PII data, and recipients that are defined by the Licensee as being Sample Recipients (used for preview purposes). 2.1 Licensee shall ensure that each user who accesses the Software or Services through Licensee has a unique user identification in the system, a unique password, does not share the password, and takes proper measures to secure the password. XMPie will have no further obligation with respect to security if such obligation is breached. 2.2 XMPie takes measures to protect Licensee’s data using advanced technology for Internet Security — technologies such as SSL, certificates, password hashing, multi-tenant filter layer, multi-layer network architecture and firewalls. 2.3 The measures described in this Section 12 reduce the risk of security breaches, but they do not provide absolute security. Therefore, XMPie cannot guarantee that its services will be immune from any wrongdoings, malfunctions, unlawful interceptions or unauthorized access to the stored information. From time to time, XMPie may modify the security measures that it uses. 2.5 XMPie does not provide compensation for reporting a security vulnerability, and any requests for such compensation will be considered a violation of the conditions above. In such an event, XMPie reserves all of its legal rights. 2.6 XMPie grants access to stored personal information to XMPie employees, contractors, vendors and agents on a need-to-know basis. These vendors are obligated to keep the personal information confidential. They may be subject to penalties, termination of relations and criminal prosecution, for failing to comply with their confidentiality obligations. Subject to Section D 1.11.9, XMPie may change its third party vendors from time to time without Licensee’s consent. The Software may contain certain object code and/or components provided by third parties. Your use of the such object code or components as provided by XMPie is subject to your compliance with the license terms of such third parties. Click here – https://www.xmpie.com/third-party-licenses/ for the terms of such third party licenses.